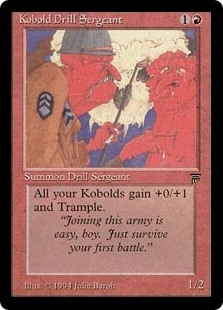 Kobold Drill Sergeant ($4.49) Price History from major stores - Legends - MTGPrice.com Values for Ebay, Amazon and hobby stores! 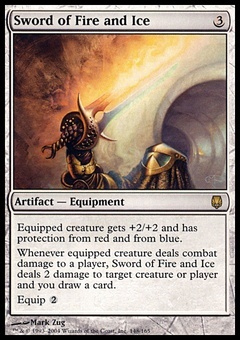 Card Text: Other Kobold creatures you control get +0/+1 and have trample. 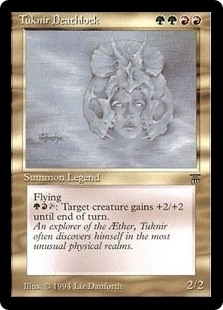 Flavor Text: "Joining this army is easy, boy. Just survive your first battle."